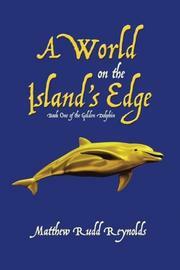 In Reynolds’ debut fantasy, a young girl befriends a golden dolphin with supernatural powers and encounters a world of mystical creatures. It’s been a struggle for 12-year-old Andi Johnston to keep her family together. Her father abandoned her and her twin brother, Artie; their mother, who vanished three years ago, is presumed dead. The twins now live with Grandma Bea on the island of Grey Cove in the Pacific Northwest. Bea suffers from dementia, so Andi must care for both her and Artie, who’s a genius but has special needs. Andi’s teacher, Ms. Dugger, hints that she’ll soon be calling a social worker, who’ll likely split the family apart. On the plus side, Andi also meets and bonds with a young dolphin, which she names Lux. The golden Lux has extraordinary powers, including teleportation, and she also gives Andi the ability to breathe underwater. The tween soon learns that Lux can also access other places—possibly even different times or dimensions. In one of these locales, she encounters genial beings, including Donalys, who looks 10 but is actually millions of years old. Other entities, however, are less friendly, particularly an evil force that wants to use Lux’s powers for its own nefarious purposes. Reynolds’ story offers fantastical creatures and sci-fi concepts (Andi’s brilliant pal, Jubal, for example, talks about pocket universes), but it also has a solid dramatic foundation. Reynolds fills the book’s scenes of family life with elation and turmoil: even Andi’s classmate Gaby, who says something horrible about Artie, is made sympathetic. At another point, Artie touchingly wants to use teleportation to see his estranged dad. Reynolds’ descriptions can be quite colorful: “heavy, thick clouds…as gray as the rocky promontory circling the island.” The final act ramps up the story’s fantastical elements, but Andi remains a relatable preteen girl throughout it all. A strong fantasy series launch that also delivers earnest drama.